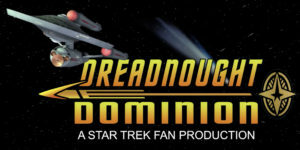 DREADNOUGHT DOMINION/STARSHIP VALIANT team up again for “COMMAND AND CONQUER”! 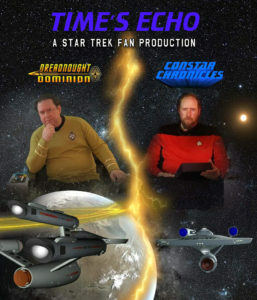 Last November, the fan series DREADNOUGHT DOMINION returned from a 16-month hiatus with a new episode that crossed over with sister fan series STARSHIP VALIANT…an episode entitled “Chain of Command.” You can read more about that endeavor here in this Fan Film Factor blog. Written by Vance Major, Gary Davis, and David R. Wrenn, and directed by Vance and Gary, the scenes for “Chain of Command” were filmed separately in the states of Ohio, North Carolina, and Oklahoma (the former location of Starbase Studios) and then edited together into a 7-minute fan film. It focused on the new CO of the USS Dominion trying to find a first officer. 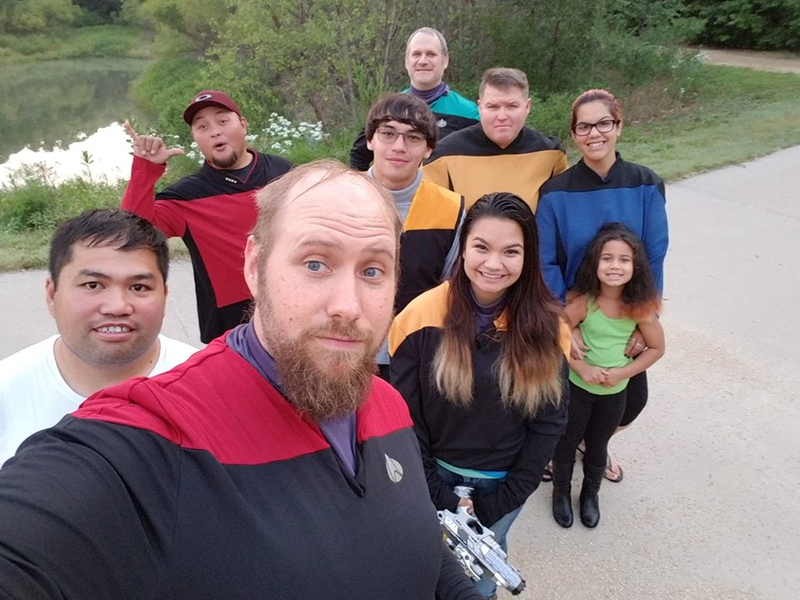 It’s rare to see the full (or nearly full) casts of two different fan series cross over into a single fan film. What’s even rarer is to see them cross over TWICE! 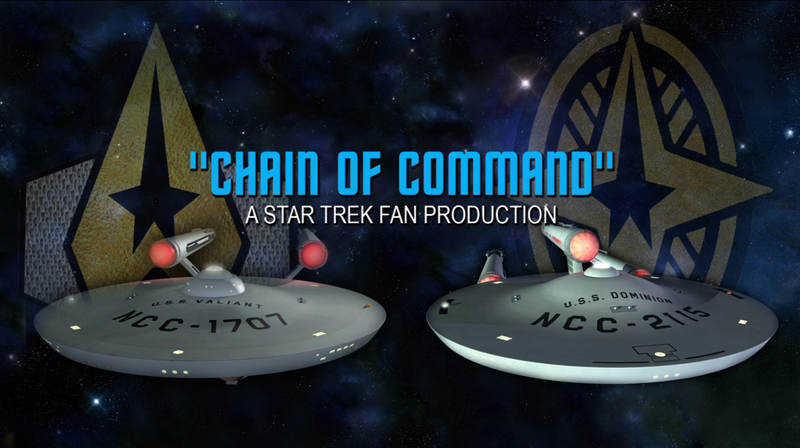 And it’s interesting that I said “cross over” because the latest film film to feature these two crews crosses viewers over into the Mirror Universe with a retelling of the “Chain of Command” story with the same characters but from the Terran Empire’s ISS Dominon and ISS Valiant. It’s fun and fascinating…all at the same time! Written by the same team, the directors were now Gary Davis and Kent Edwards. 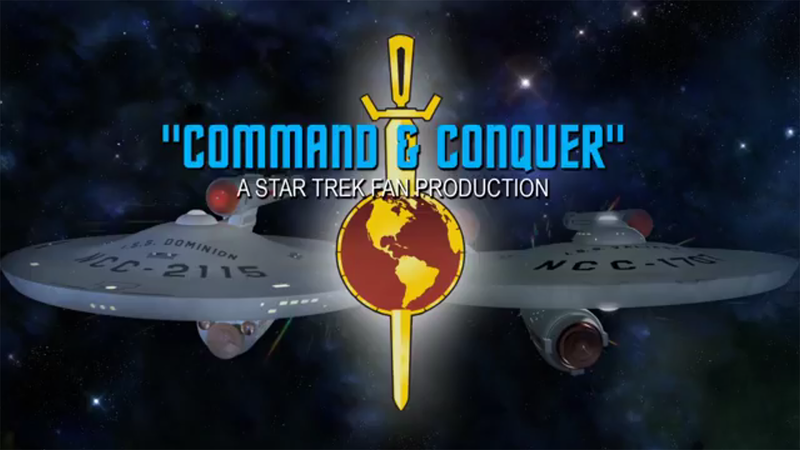 And the locations still included Ohio and North Carolina, but Starbase Studios has now moved to Arkansas, and some scenes were also filmed in Georgia. I’m told the entire production was shot last month (with a few scenes filmed in May) and edited together pretty quickly to come out with such a fast turnaround. And look for a really great audio interview with Vance Major on Fan Film Factor this coming Friday! 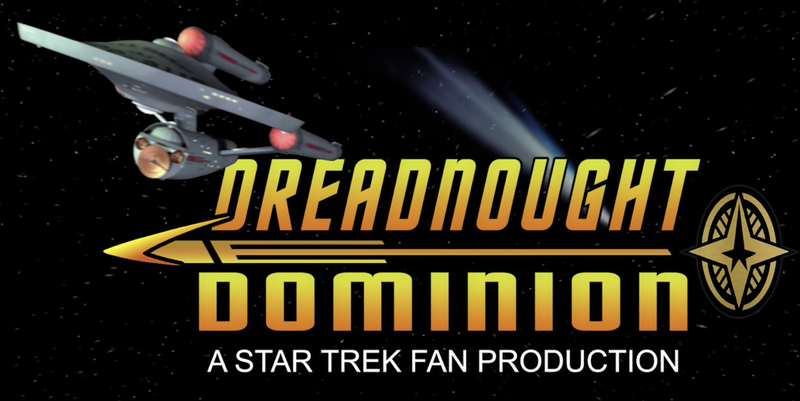 DREADNOUGHT DOMINION and STARSHIP VALIANT cross-over in “CHAIN OF COMMAND”! 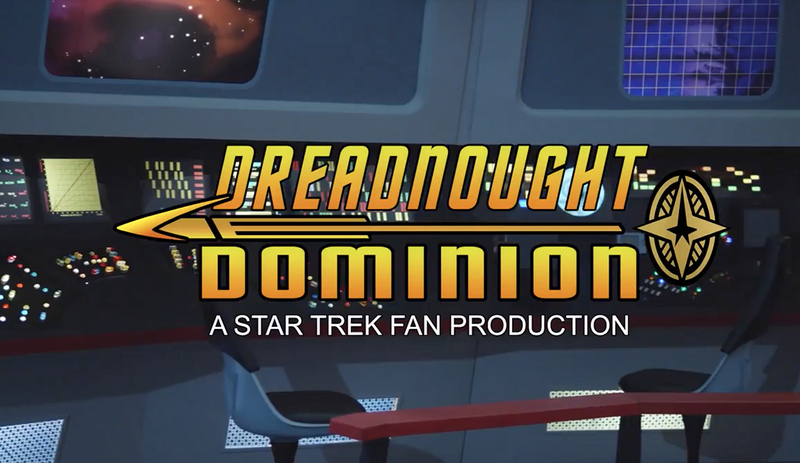 Back in April of 2015, a new Star Trek fan series called DREADNOUGHT DOMINION premiered with its initial episode, “Haunted.” Three months later, a second episode, titled “Anchors Aweigh” (a bit of a prequel to the first episode), made its debut. It wasn’t the only TOS-era fan series to feature the crew of a non-heavy cruiser class starship, but it was the first and only one to feature the crew of a Starfleet dreadnought-class starship based on the mid-1970s Franz Joseph Star Trek Technical Manual. 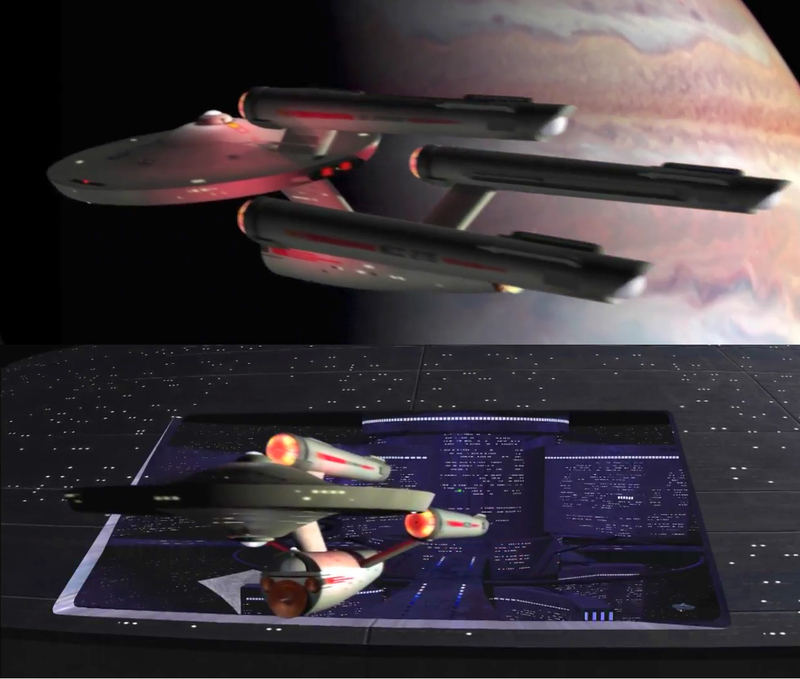 Thanks to a 3D model created by Kenneth Thomson, Jr. and Thomas Phong, the beauty shots of the tri-nacelled USS Dominion in the opening credits and during the episodes were gorgeous. 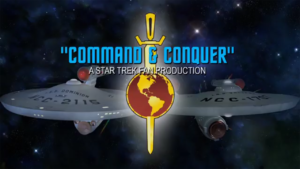 The two episodes were filmed primarily on the very impressive TOS sets in Starship Farragut’s Studio Two in Kingsland, GA (also the shooting location of Star Trek Continues). A year earlier, another fan series, Starship Valiant, made its debut on YouTube with an introduction vignette titled “Legacy.” Valiant was filmed using the TOS bridge set at Starbase Studios in Oklahoma City. 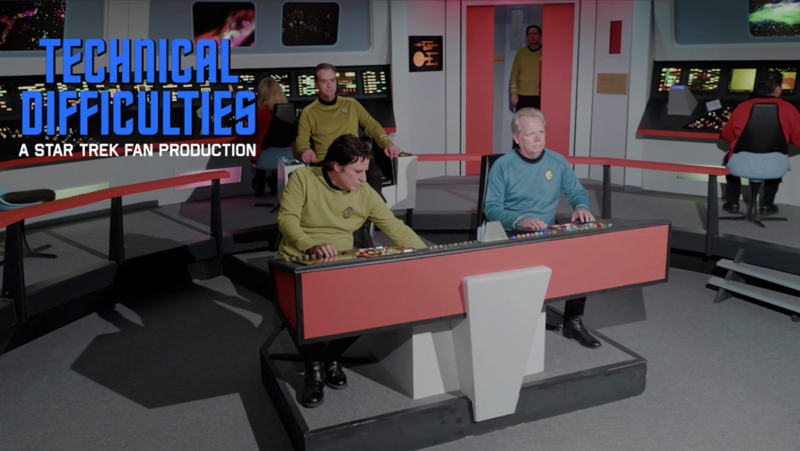 (The following year, a “special edition” version of “Legacy” with added footage was posted after Starbase Studios built a new sickbay set.) Valiant has since completed principal filming on its second episode “The Ties That Bind,” although post production is still ongoing and the second episode hasn’t been released yet. 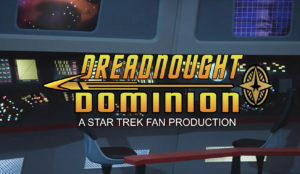 Author Jonathan LanePosted on November 12, 2016 June 28, 2018 Categories Fan Film Features, NewsTags Chain of Command, David Wrenn, Dreadnought Dominon, Frank Parker Jr., Gary Davis, Star Trek Continues, Starbase Studios, Starship Farragut, Starship Valiant, Vance Major1 Comment on DREADNOUGHT DOMINION and STARSHIP VALIANT cross-over in “CHAIN OF COMMAND”!